When the concrete floor from your walkway, patio, driveway, pool deck, or wall is showing its age, it is time to fix them. Here you can find general information about resurfacing concrete. Resurfacing may be the best option for you to bring back the great appearance from the old days. It is much cheaper than replacing the whole concrete, and you can do it yourself but only if you know what you are doing. If you do not know what you are doing, what you should do is to hire a professional to perform the work needed. Most concrete resurfacing contractors will solve your problems effectively, preventing any future damage. What is a concrete resurfacing compound? It is a dry powder created to rejuvenate the concrete with a simple system composed of three parts. The powder has no color, and it must be mixed with cement activator and powder tint from your preference. High-quality iron oxide is the main material for these tints, but most of them have titanium dioxide pigments and chrome oxide as well. The ultraviolet rays will have no effect on powder tints because they are fast. These are the most common concrete resurfacing products used and known by concrete resurfacing contractors and homeowners. You have different concrete resurfacing options. A bag of resurfacer is more expensive than a bag of concrete. The difference could be pretty big depending on where you live. Do not go for a budget path trying to mix both of them to save some money because it will not work at all. Just do not do it. Now, concrete - Rocklin (driveways, patios, pool decks, walkways, walls) contains good bonding agents, and it will be very effective compared to conventional concrete. That is the primary reason behind its cost. The cost will be different for each customer because in some cases it is needed more materials and time. It could be something easy or hard to do. The best way is to contact our concrete company and describe the job to get an accurate cost. 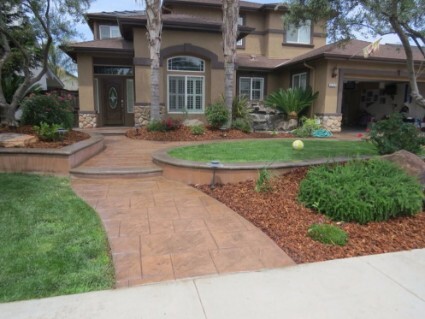 Concrete Rocklin is a well-known company with a lot of experience and excellent customer service. Instead of making mistakes and wasting money doing it yourself, hire a qualified professional to get the job done faster and cheaper. Call (916) 473-4001 to get a free quote.